CardMonkey's Paper Jungle: Join in April ... $75 becomes $339! Join in April ... $75 becomes $339! Today, I am mailing four of my friends these cards that I made last night. In them, I present an opportunity like none other. 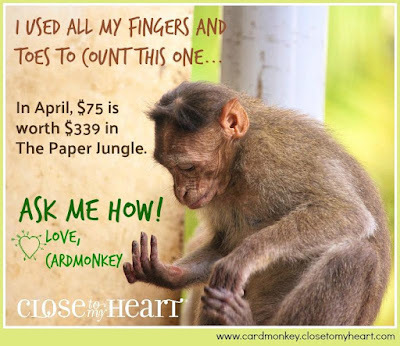 It's an opportunity to invest $75 in herself, to join my Close To My Heart team in April. 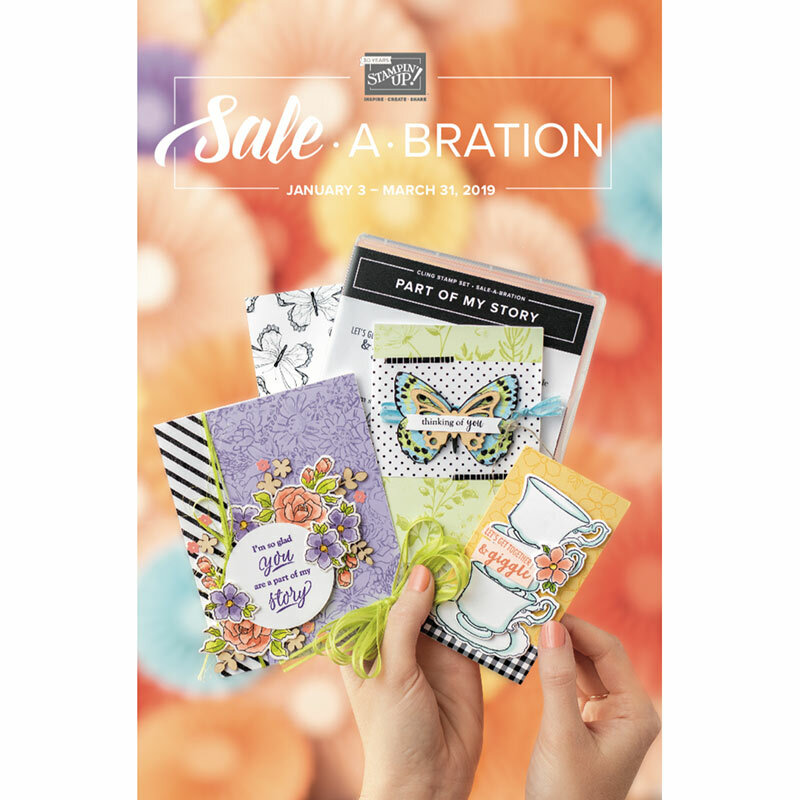 For that investment, she'll receive $339 in CTMH products, which includes a $50 shopping spree for the products of her choosing in either our current catalogs -- Annual Inspirations or Seasonal Expressions 1 -- OUR our newest catalog that will be released to the public on May 1. That's right ... she'll get a sneak peek, as well as some of the brand new products. Would YOU like to join too? I'd LOVE to have you join The Paper Jungle team. 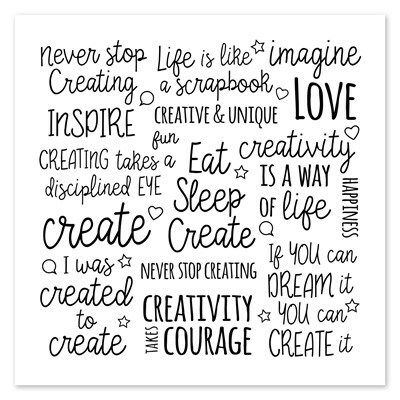 We're small and mighty, full of creative ideas and fun, as well as the BEST products in the paper crafting industry. ... The fabulous New Consultant kit, valued at approx $200. ... 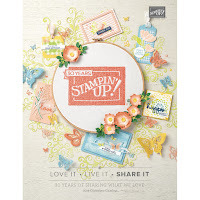 The Stamps of the Month for May, June, July and August -- each valued at $17.95, and even *I* can't get these in April! ... A brand new CTMH Photo Trimmer, not available until May 1 to the public (it's a new catalog item). For the background of this card, I used the beautiful "Gimme Some Sugar" current CTMH paper. 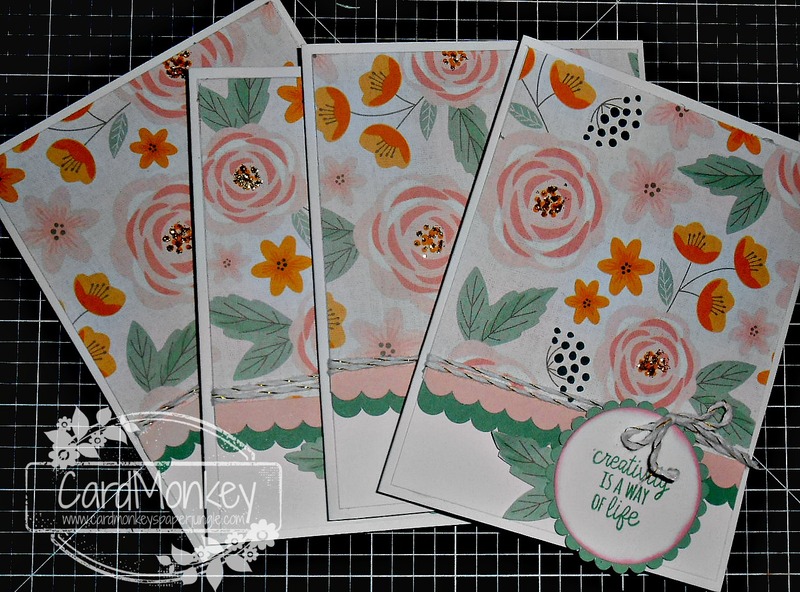 I cut scalloped pieces in Bashful and Juniper, as well as a scalloped tag, both using my Cricut Maker and Cricut's Design Space software. 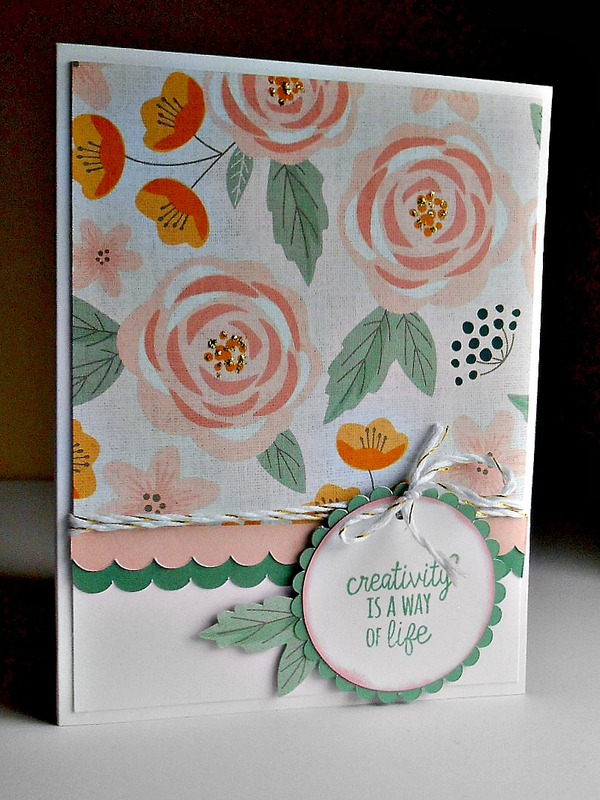 I purchased the scalloped tag (Alphalicious Cartridge, Design Space) so it's not shareable online, sorry. Do you see it there ... "Creativity is a way of life" over on the right side. YES, did you know that you can carefully trim out the sentiments you want from a full-background text stamp like this? All of CTMH's stamps are made from an acrylic polymer and are easy to cut using CTMH's sharp micro-tipped scissors. I do it all the time! 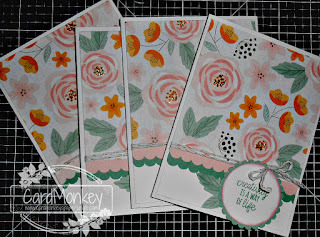 In FACT, if you join my Paper Jungle team in April, mention this blog post, and I will send this stamp set -- uncut, brand new -- FREE. Please be in touch with me if I can answer any questions! YAY! I'm Baaaack, with a fun card!